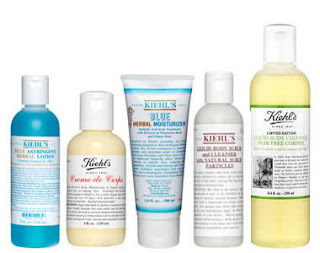 Steward of Savings : FREE Kiehl’s Skincare Sample Pack! + FREE Shipping! FREE Kiehl’s Skincare Sample Pack! + FREE Shipping! Wanna try some FREE Beauty samples ? FREE $4-$500 Domino’s Pizza eGift Cards Giveaway! FREE Derma E Microdermabrasion Scrub Sample! FREE Wooden Coasters Set from Copenhagen! FREE SmartyPaws Dog Supplement Sample Pack! Yankee Candle: $10 off ANY $10 Purchase Coupon! $3.50 off ANY $15 Purchase Coupon at ULTA Beauty! FREE Olay Foaming Whip Body Wash Sample! FREE Snacks & Beauty Sample Box from Sampler! FREE Canada Dry Ginger Ale Beverage Products! FREE Premier Protein Shake Sample! FREE AHAVA Crystal Osmoter Facial Serum Sample! FREE Paris Hilton Skincare Sample Pack! FREE #Sephora Collection Clay Mask Sample Pack! FREE Full Size OREO Chocolate Candy Bar Coupon!